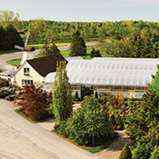 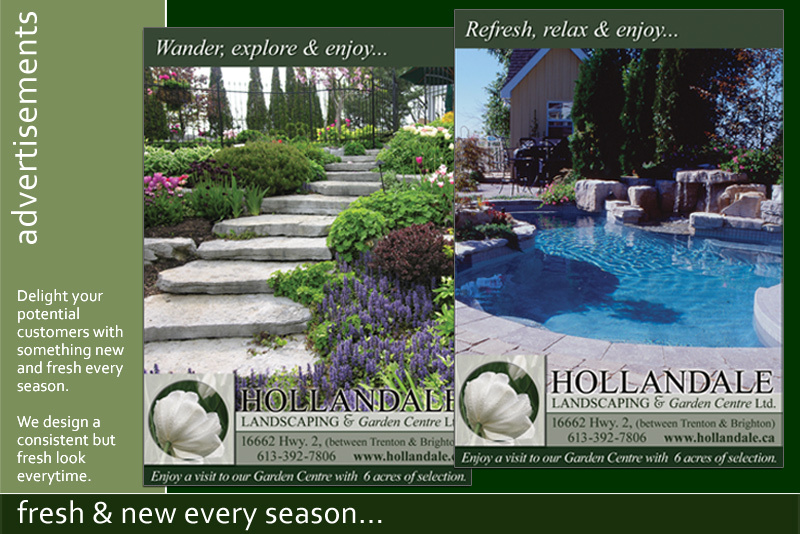 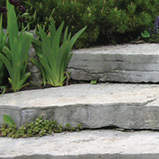 Since 2002, AdGraphics and Hollandale Landscaping & Garden Centre have been "working and growing together!" 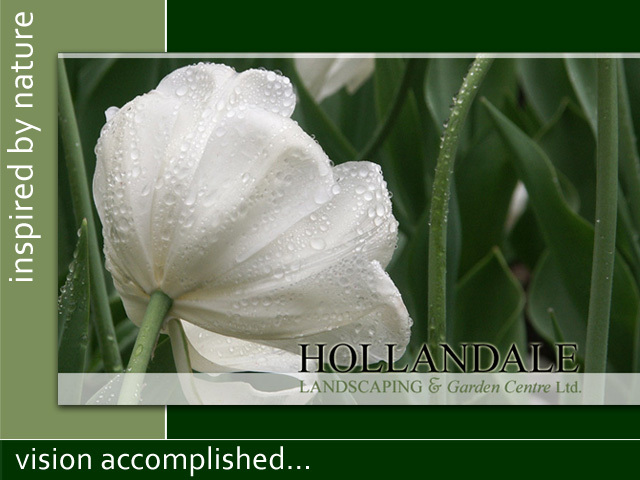 With such a vast array of landscaping & garden services, Hollandale needed a well structured, navigable website to showcase their beautifully stunning work in a simple, yet sophisticated manner. 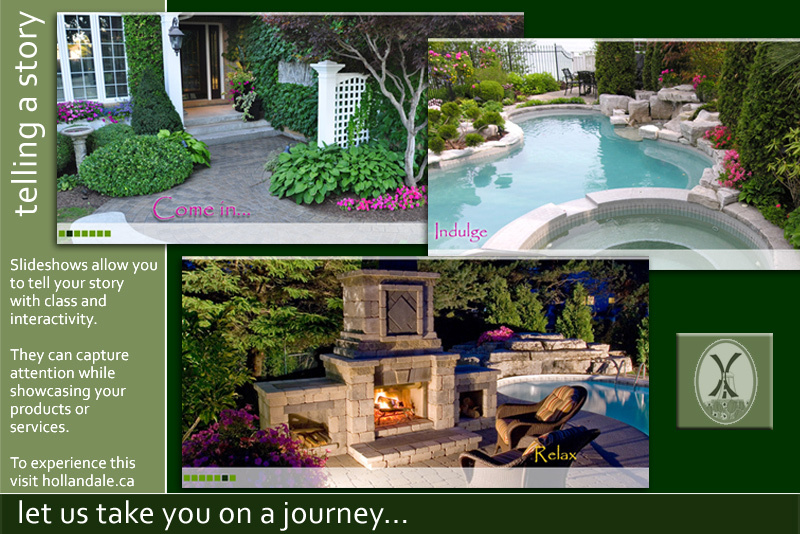 The website's clean, easy flow comes alive with breathtaking, inspiring images and interactive slide shows that captivate & entice viewers to explore & linger over each and every page. 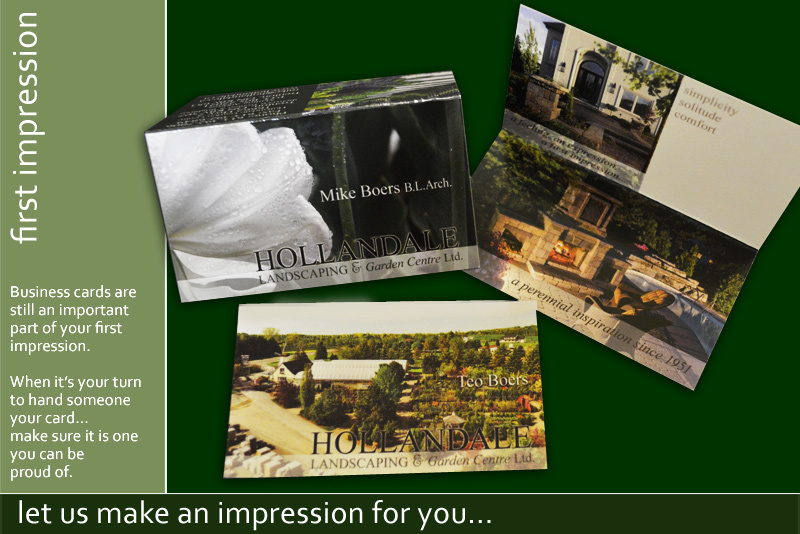 The clean, well balanced logo, symbolic graphic, and folded business cards further the artistic, classy feel while providing another venue to showcase designs and create lasting impressions. 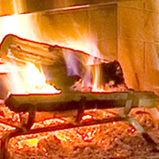 "We engaged Kim to develop our first website in 2002. 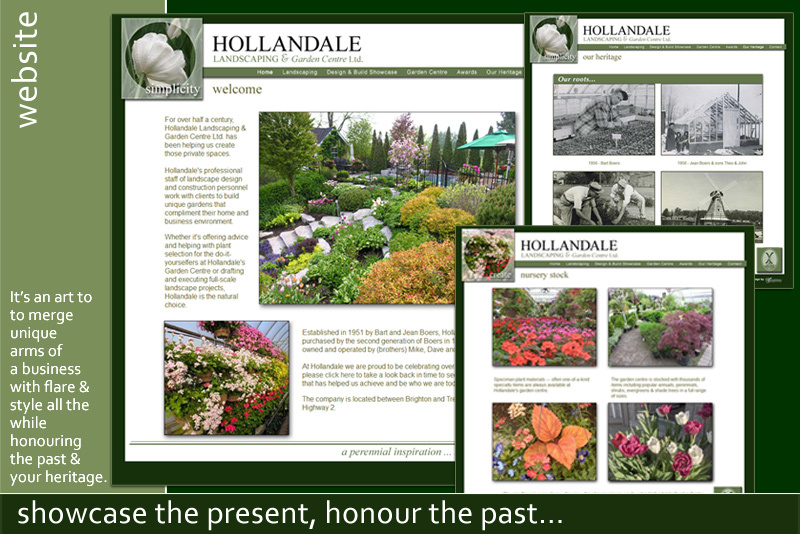 At the time there were many examples of websites that were unimaginative, unprofessional and unsustainable. 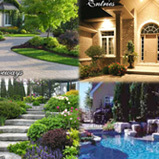 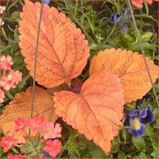 Kim & her staff created a comprehensive website that covered in a very visual & easy to navigate manner, the many aspects of our business, from landscape design to our garden centre. 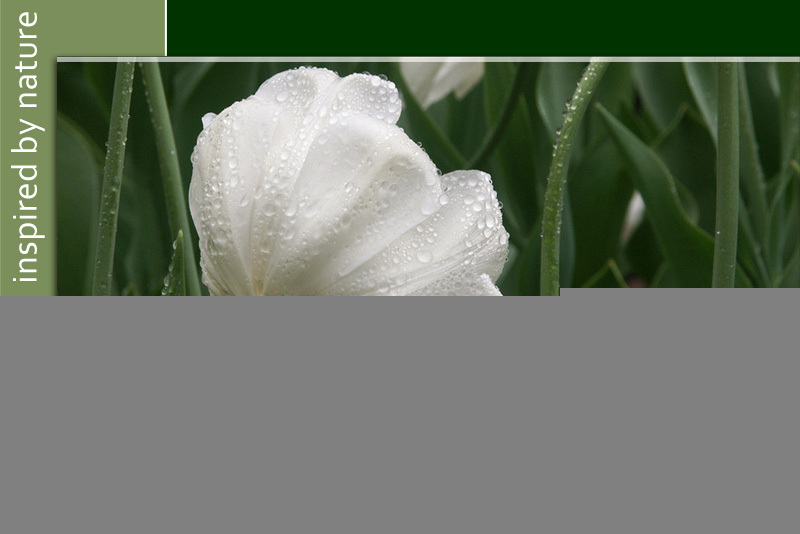 Nothing is worse for business than an out of date website...Kim ensures that things stay current & fresh with regular updates. 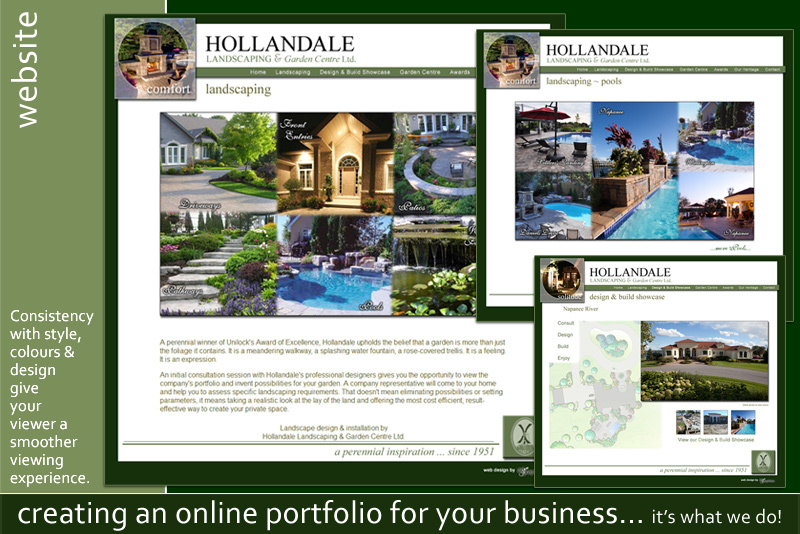 We at Hollandale are very proud of our website and it has become our most important marketing & sales tool."